To connect the nation this summer and mark the launch of BT Plus - the UK’s first converged plans that gives customers BT’s best 4G and Fibre connection in and out of the home - BT has transformed the 34th floor of its iconic BT Tower into a rare public experience. Opening its doors to the public for one weekend only – Saturday 14th July and Sunday 15th July – BT will be offering guests the chance to enjoy their favourite outdoor and indoor experiences, 518 feet above the Capital. BT has created the BT Plus Great Indoors; an oasis above London inspired by the ways people love to connect with their friends and family in summer. New research from BT says that the top ways Brits like to reconnect with friends and family are sightseeing (24%), camping (12%), going for a picnic (27%) and watching films and TV together (50%). The research also reveals that nearly two thirds of Brits (61%) value spending time with their loved ones more than having a disposable income (7%), going on holiday (6%), or having a good job (5%). Celebrating these favourite ways to connect, the circular, rotating venue will be divided into five immersive zones for guests to journey through the sights and smells of a trip to the beach, a summer picnic in the park, and putting their feet up to watch their favorite sports, all with panoramic views of London’s skyline. 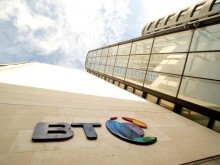 BT will be offering groups the chance to visit the BT Plus Great Indoors. These free to attend, hour long sessions will let visitors see 360-degree rotations of London from this landmark, enough time to savour both the view and the luxury picnic hamper. In addition to the Great Indoors experience in the day time, BT is offering one lucky winner the opportunity to stay overnight, for the first time in its 57-year history, waking up 34 floors above London’s skyline. 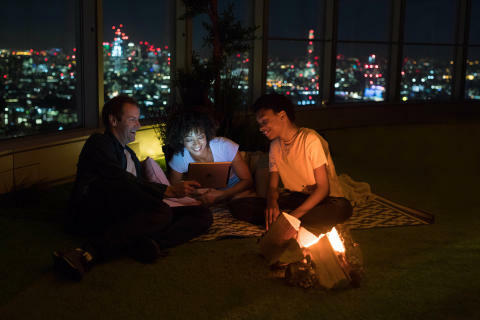 BT has created the ultimate sky-high glamping experience, complete with luxurious tents, a gourmet picnic hamper and tablets for guests to stream their favourite TV shows and movies together as the sun goes down above the city. Despite the rise of social media and messaging apps, when they can’t spend time together in person, the majority of Brits surveyed (60%) prefer keeping in touch with phone calls, while over a quarter (28.5%) stay connected using messaging app WhatsApp. Only 7% of Brits keep in touch with old-fashioned letters. Just 6% say they like spending time alone, demonstrating the importance of staying connected this summer. To apply to attend the BT Plus Great Indoors experience and be in with a chance of winning the overnight stay, visit BT.com/BTPlusGreatIndoors.